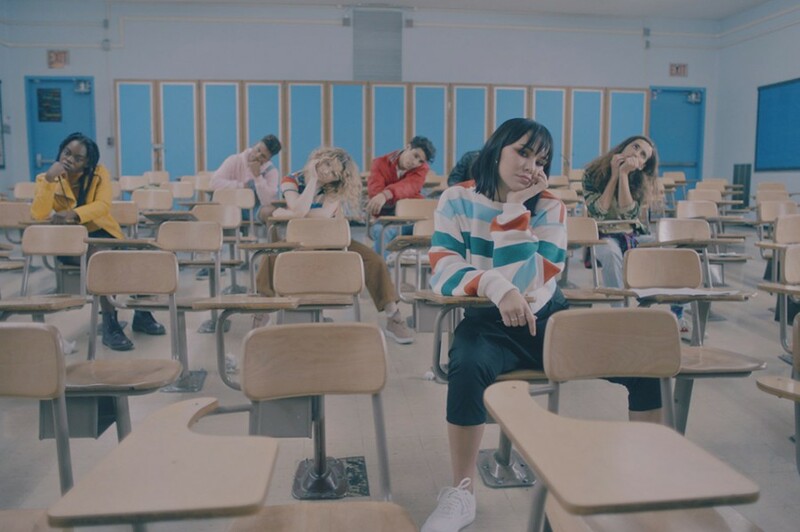 Los Angeles-based alt-pop singer-songwriter UPSAHL has unveiled a new music video for “The Other Team” directed by Ally Pankiw. The song was released earlier this month from her upcoming debut EP, which is expected be released in early 2019. In the clip, she sang and danced in a high school along with other students like '80s film "Breakfast Club". She also announced tour dates with Max Frost. She will make her SXSW debut on March 13-15, 2019. After the festival, she will join Max Frost on half of his Gold Rush Tour in March and April. The tour kick off at The Blind Pig in Michigan on March 18th.